Embodying the true masculine essence, Ferragamo Acqua Essenziale EDT fuses Mediterranean notes with woody accords for a strong, authentic scent. 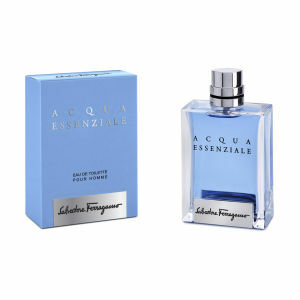 A spritz of this airy, vibrant eau de toilette will instantly transport you to a warm, breezy summer night. Top notes consist of crispy mint and lemon tree leaf for a distinctive, aquatic aroma. These turn into warmer heart notes of geranium, rosemary and lavender to boast a floral, peppery scent. A woody base of patchouli and vetiver completes this indulgent journey and gives the fragrance its invigorating, masculine boost. – N.P.